SAN FRANCISCO — As part of Asian Pacific American Heritage Month, the AsianWeek Foundation announced Hill Physicians Medical Group as title sponsor of the 10th annual Asian Heritage Street Celebration (AHSC), the nation’s largest pan-Asian street fair. The AHSC will be held Saturday, May 17, in front of San Francisco Civic Center and the Asian Art Museum (Larkin and McAllister streets), leading up to the Little Saigon neighborhood. The event is free and open to the public from 11 a.m. to 6 p.m. Sponsoring the festival is part of Hill Physician’s commitment to health outreach to the Bay Area’s Asian community. Hill Physicians is the largest association of independent doctors in Northern California. Their doctors care for 300,000 members, working to keep them well and helping them bounce back when things go wrong. At the upcoming street fair, Hill Physicians will be offering bone density and grip strength screenings, health presentations, and the chance for fairgoers to meet doctors. Hill Physicians is also pleased to support awareness, screening and vaccinations for hepatitis B. The May cover story of its magazine, Hill Health, is about the ABCs of hepatitis and features the story of Fiona Ma, former speaker pro tem of the California State Assembly. Free copies will be available at their booth in the Healthy Living Pavilion. • A variety of scrumptious pan-Asian delights with an estimated 20-30 food trucks and booths. • Cooking demos from top chefs from across the Bay Area, including Sharon Nahm of E&O Asian Kitchen, Tim Archuleta of ICHI Sushi + NI Bar, Yong Dong “Tony” Wu of M.Y. China, Fred Tang and Wilfred Pacio from Spice Kit, and Thomas Weibull from the Clift Hotel. • Creative handmade arts and crafts items at the Arts and Crafts World Market. • Faces of Asia Cultural Procession, a dazzling display of cultural attire. • Free admission to the Asian Art Museum, courtesy of Target, with activities all day. • Healthy Living Pavilion — booths will feature hepatitis B and C screenings, glucose tests, lupus education, natural medicine, and more. • Children’s Area — kids can play games, create their own crafts and learn about the history and cultures from all over Asia. • Two stages of live entertainment, including MC Jin, Asian Improv aRts, Valkyrie Kiss, Dante Basco, Vu Hong Thinh, Katherine Park, Lily Cai Chinese Dance Company, jDR (Joel Del Rosario), Angklung Cendrawasih, Eskabo Daan, Slanty Eyed Mama, CyClub, Ving Sun Sito, Mika, Mika G, and Au Co Vietnamese Cultural Center. 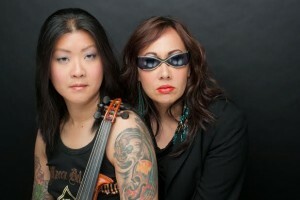 For more information, including performance schedule, visit www.asianfairsf.com.